November 2012 - Get Ready to Ride with the River Hawks!Get Ready to Ride with the River Hawks! Holiday Gifting for Poor College Students! So it’s nearing that time again, whether you celebrate Christmas or Hanukkah or Kwanzaa or Winter Solstice or Boxing Day or ALL OF THE ABOVE. Regardless, you’re going to need to give gifts to some family and friends so they don’t disown you and hate you forever. But, as poor college students, gift giving can be hard! For those of you unaware, I am the craftiest human being on the planet, so I’m here to help you make super simple and super awesome gifts. Everyone loves food. Unless it’s something dumpy like stale fruitcake, just about everyone will eat and enjoy food as a gift. You know those jars of baking ingredients everyone buys/makes and gives out as gifts? I still have one sitting in my house from when I was a baby. When it comes to your gift receivers actually DOING SOMETHING, it’s generally a flop. what, I actually have to MAKE these cookies you’re giving me? BUT. What about hot chocolate? It’s the easiest thing to make ever, just put hot water in it and bam, instant coziness. You can even get fancy and add MARSHMALLOWS or CHOCOLATE CHIPS or PEPPERMINT. I was inspired by this cute recipe, but if you’re especially lazy, you can forego making your own hot chocolate mix and use Swiss Miss or something. Then you pretty up the jars with ribbons and goodies and fanciness and it looks like you put a ton of effort and thought and love into these gifts. note to any of my friends reading this: I put a ton of effort and thought and love into your gifts, I swear. Speaking of peppermint, everyone loves PEPPERMINT STICKS and candy canes and whatnot. Instead of getting a cheapo pack of candy canes from WalMart and tossing them out to everyone, you can put a tiny bit more effort into it and make them at least 600%* better. Inspired by this recipe, you can get whatever stick-like candy you desire (even pretzel sticks! ), dip it in any melty sweetness you want (chocolate? caramel? FROSTING?!) and roll it in some sort of small topping, like jimmies or sprinkles or those fancy gold flakes. As far as the gifting process, you can be all fancy and generous and give people batches of them in nice gift boxes with pretty tissue paper and all that; or just get those dumpy cellophane bags, shove a couple in there, and tie it with some ribbon. Boom. Roasted. Candy. Just about everything in life can be separated into two categories: edibles, and non edibles. Edibles are the important wonderful things in life, and non edibles are just there so we don’t eat everything in the world. Anyway! An old time favourite gift from back in the day is mix CDs. They’re so much easier nowadays than in the time of mix tapes where you had to manually and painstakingly record songs onto cassettes; now you just make a playlist in iTunes or Winamp (does anyone use that anymore?) and boom, ten minutes later it’s burned onto a CD. Make a nice personalized mix for your close friends and actually put some thought into it, or maybe just mass produce a sweet party jam and make it rain CDs. CHALKBOARD PAINT. It’s the latest craze. Pick some up and go nuts. Found a cheapo dumpy mug for a dollar? PAINT IT. Random tiny picture frame? PAINT IT. Tape dispenser? PAINT IT. if you happen to have an old TV laying around, PAINT IT. So! I hope I was helpful in giving you some cheap, easy ideas for gifts this holiday season. Pinterest is always a great resource if you’re feeling crafty, or just want to look at a bunch of pretty things you’ll never be able to make/have. Good luck with finals, and have a great winter break friends!! Winter can be FUN! Just keep WARM. Are you afraid? It’s almost here!! I can feel it, the cold yet burning sensation to my skin; tears running down my face, the red nose and discomfort. Oh why must I face this tragedy called WINTER? Cold weather can be dangerous. Many people don’t realize how quickly cold weather can lower their body temperature, until it actually happens. Some people also don’t know how to properly dress so that they retain as much body heat as possible when going outside. Dressing properly can go a long way in preventing hypothermia and frostbite. Set up your base– Walking around campus in the fall and spring seemed pretty easy right? Well winter will not be so much. Make sure you have set up a comfy and warm place for you to be at. Winter is the season to hibernate! (Not for too long though). Supplies– Girls please don’t go out in our typical skimpy dresses, LAYERS is our BEST FRIEND! You will look hot in anything =). Warmer sweatshirts than the ones you used for fall, WOOL socks are heaven in keeping you warm, and a cute yet very warm coat is NECESSARY! Try Macy’s or Burlington Coat Factory for some. To spice up your wardrobe add a SCARF! Looks good and keeps you warm. YEY! Personally I have a drawer filled. Find reasons to stay active– If you are like me, you hate planning, and you just wait until one of your friends says “get dressed, we’re going out!”. That is a perfect motto to follow in fall, spring and summer. NOT WINTER. Winter is the time where even if your brain doesn’t want to stay in, your body is telling you WE”RE STAYING IN! Fight your body! Many people fall into depression and become very anti-social in the winter, you don’t want to become that. FORCE yourself out of bed, have dinner, play in the snow, bring your blanky and watch movies at a friend’s place, etc. STAY ACTIVE. Find the positives– Christmas music! My ultimate favorite! Wait until December 1st you WILL hear me sing them around campus. There is Hot chocolate, throwing snowballs at your least favorite roommate (muahaha). Then there are presents, going into the city and seeing how even more beautiful it looks with all the colorful lights everywhere, checking out the cool ice sculptures and snow angels! You can even go off to a log cabin for the weekend with friends and ski or snowboard, and then come back to the warm fire and BOND! Winter is not all that bad as long as your LAYERED and kept WARM. With the fall semester coming to an end in little over a month hopefully you are doing well in your classes and are adequately prepared for your remaining exams and quizzes. If you are a freshmen you might be asking yourself a few questions like “Do I want to continue my major?” or “All of these classes are great! My only concern is that classes don’t give me a competitive edge when I graduate, how do I go about gaining that experience?” Ok, most of you maybe were putting that last question off until later but it is definitely a question that you need to address because having work experience coming out of college is shown to give people a competitive edge in the job market. Luckily for you UMass Lowell has the Career Services & Cooperative Education Center which can help, which is conveniently located in room 328 of Southwick Hall on North Campus. The co-op program is open starting your Sophmore year only if you have permission from your department and are in good academic standing. The co-op program is described in three phases. The first phase being Preparation, this phase is meant to ensure that you are professionally ready to begin your co-op. The way that you go about achieving this readiness is by taking a one credit seminar, The Professional Development Seminar. This seminar is meant to provide you with the “necessary structure, resources, and support” to be successful in obtaining and maintaining your co-op. The second phase is the actual work experience. The co-op periods are split up into two different periods. You can either work a two, three-month summer co-op periods or you can work two, six-month co-op periods that take place during the school semester. The summer co-op periods do not interfere with your graduation time but the periods during the semester do, which is something to keep in mind because some classes are only offered during certain semesters. Some employers like to keep the students for the two periods but at the discretion of the company or yourself you can choose to work at another company when it comes time for your second period. After you have completed a period of co-op experience you need to enroll in a one credit co-op assessment course which is meant to assist you in “evaluating, reflecting, and presenting” on your work experience. What I find to be one of the interesting services offered by the Career Services office, besides a co-op, is the ability to conduct mock interviews. Let’s be honesty everyone loves a good co-op. Just one, can you name one magazine? Hopefully after practicing your interviewing skills and going over the commonly asked interview questions, which can be found at http://www.uml.edu/student-services/Career-Services/For-Students/Interviewing/Interviewing.aspx, you can name a magazine if asked to do so. More than likely you have had to submit a resume at one point in your life whether it was to be a Crew Member at McDonald’s or to that job at Best Buy that you keep telling yourself that the reason you didn’t get hired was because you were overqualified and knew more about electronics than everyone else that worked there combined. You are also not holding a grudge against Best Buy. What is also more than likely is that you will need to submit a resume to a company if you are applying for a job after college or if you are looking at an internship or co-op of some sort. Luckily for you the Career and Co-op Center is here to help, again! The Career and Co-op Center allows for you to either drop-in to have your resume looked over or you can schedule an appointment to see a career counselor for help. These resources are available to you as a student so that you don’t have this happen to you the next time you apply for a job. Ya, Disney acquired Star Wars. That really did happen. Disney recently acquired Lucas Films for 4.05 billion. Yolo. What this means for the franchise I am not entirely sure. I anticipate Disney is going to make some more Star Wars movies. We can only hope an expansion into the beloved creation that is the Star Wars galaxy. I have a couple characters I hope they will expand upon. I hope you guys feel the same way as me by the end of this blog. I don’t really know much about Star Wars but I do know that some characters are very interesting. Here we go. Among one of the most interesting species in the Jedi Universe is the race referred to as “Yoda’s species.” Because George Lucas never wanted to release information regarding the origins and whereabouts of Yoda’s species, we may never know. 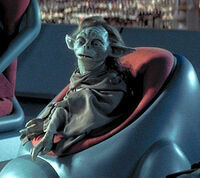 Yaddle is among one of these unique creatures referred to as “Yoda’s species.” Yaddle is a female jedi master and some would argue that Yaddle is nearly as powerful as Yoda. Fun Fact: Yaddle uses a rare orange lightsaber. Alright… Jar Jar Binks might be one of the most hated characters of all time. I understand. I love Jar Jar Binks though because his laughably ludicrous behavior. I cannot take this character seriously whatsoever and everything he does consequently results in a giggle from the inner child of my soul. Jar Jar Binks is everything you hate and everything you love. He makes no sense. Fun Fact: Jar Jar Binks was a galactic senator in his prime and comes from the planet of Gungan (not gagnam, sorry). Ikrit is a jedi master. I am not sure how the logistics of jedi training occurred or how the force is apparently strong with this floppy eared kitten, it just is. No justification necessary. I am not really even familiar with how Ikrit can hold a lightsaber. 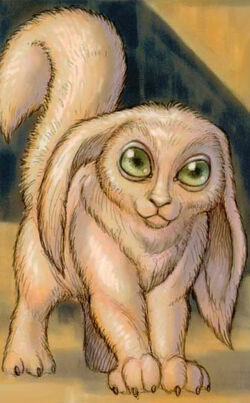 Oh yeah, Ikrit was also yoda’s apprentice. I would imagine it to be laughable to watch Ikrit and Yoda train together. Perhaps a future movie can elaborate on this magical moment of cinematic wonder. Darth Zannah is a pretty cool character. Zannah never received formal jedi training but still managed to be a great warrior. She was the apprentice of Darth Bane. Zannah is a very interesting character who used defensive prowess and an acute ability of Sith magic to overpower her enemies. I am not really sure why I like Darth Zannah so much, but I do know that she is pretty beast-mode. Fun Fact: Darth Zannah uses a double edged red lightsaber. Do I think Disney will include any of these characters in the film series? Probably not. Do I buy scratch tickets sometime in hopes of being able to win a million dollars? Sure do. Sometimes all we have is our dreams and faith to hold onto. I can only hope that Yaddle, Jar Jar Binks<3, Ikrit, and Darth Zannah are in some Star Wars movie installations in my lifetime. Especially Jar Jar, who will eternally have a special place in my heart. Hope you enjoyed this weeks blog installment. Happy Holidays! Procrastination. What a BIG no no! False Security: You look at your syllabus, and you see an 8-page paper due in six weeks. You’ve got plenty of time. It won’t hurt to go out with friends and unwind before doing work. Excuses: “I’ve been busy! I deserve a break from your work. I mean, I had a crazy weekend, and today I have classes all day plus an exam. I really deserve to take a few days off from thinking about any schoolwork whatsoever”. Denial: 8-page paper? No big deal, I work best under pressure anyways! I’ve got tons of time. Classes end at 3pm today, and it’s not due until 9am tomorrow. That’s a total of 18 hours. What assignment in the history of college has ever taken 18 hours? I don’t need sleep, that’s what coffee is for! I GOT THIS! Crisis: (It’s 7:45 am): OH NO! HOW DID I LET THIS HAPPEN? I HATE MYSELF, I HATE THIS CLASS, AND I HATE MY TEACHER. NEVER AGAIN. I HAVE LEARNED MY LESSON. The 6th stage is simple: REPEAT! You do the stuff that makes you feel good now, even though you know it’ll affect you negatively in the future. You ever wonder why doing laundry, cleaning your room or writing a piece on procrastination all seem to become so much more interesting than that thing you should be doing? Gratification, that’s why! Why feel good later when you can feel good now! The thing is, your brain isn’t very good at planning ahead, it’s really only concerned about the ‘you’ in the here and now, even though we all know they’re both the same person. Confusing I know, but sometimes you really are your own worst enemy…. One of the best ways to beat procrastination is to understand it; knowledge is power and all that. An Act was approved on May 13, 1938, which made November 11 in each year a legal holiday, known as Armistice Day. This day was originally intended to honor veterans of World War I. A few years later, World War II required the largest mobilization of service men in the history of the United States and the American forces fought in Korea. In 1954, the veterans service organizations urged Congress to change the word “Armistice” to “Veterans”. Congress approved this change and on June 1, 1954, November 11 became a day to honor ALL American veterans, WHERE EVER and WHENEVER they had served. What is UMass Lowell Doing? UMass Lowell’s Office of Veteran Services and the Student Veterans Organization will be acknowledging our Student Veterans, Veterans Hall of Fame Inductees, and local Veterans and honoring their service to our country. Chancellor Meehan, will be speaking. Join us for UMass Lowell’s first F-15 Flyover at 11:30 a.m. A reception will be held directly following the ceremony under the trees in front of Cumnock, inside Cumnock Hall in case of inclement weather. Hockey fans will support the troops as the UMass Lowell River Hawks and University of Maine Black Bears square off in Division I Hockey East play. U.S. Air Force Staff Sgt. Sean Germain, who recently returned from Afghanistan, will do a ceremonial puck drop. The first 1,000 fans to arrive will receive River Hawk dog tags, courtesy of Eastern Bank, which is also sponsoring this night out for military members stationed at Hanscom Air Force Base in Bedford. Tickets for any military member with ID will be $5. Then Monday the 12th NO SCHOOL guys!! Get enough rest, I sure need it. iSiS: Wait..What Am I Doing? Hello everyone! Trudy here, your new Ambassador. For my first blog post I’ll be writing about the super exciting topic of iSiS and registration, YEAH. Enrollment dates are coming up, and I’m sure all of you have met with or will meet with your advisors real soon! But once you get advised on what classes to take, what do you do next? Come along, and I’ll show you! STEP ONE. Log on to iSiS. Head on over to isis.uml.edu, click on “Student Self-Service Login” and log on with your student email (ie. Seymour_Butts@student.uml.edu) and your student email password (ie. OMGiloveisis2012). Also make sure you choose “Lowell” as the campus. Don’t be sneaky and try to log on to the President’s Office to find out the secrets of the universe. Doesn’t work. I may have tried. STEP TWO. You should end up at your Student Center! But..
WELP that’s what I’m here for! Have a picture. STEP THREE. If you followed the advice of the six-pointed star up there you should be on your way to registering. Choose which term you would like to register for (hint: next semester is Spring 2013, you can also register for Winter classes but they cost extra money! and you can’t register for Fall 2012 classes anymore. Sorry.) THEN CLICK CONTINUE YEAH. In the above example I put College Writing II for the course number, since everyone needs to take that someday. Some of the additional search criteria can be used whether or not you know the course number. A lot of these things are super useful, but most people overlook them! STEP FIVE. Once you click search you’ll get a whole bunch of classes and times and professors and fun stuff. Pick the perfect class–or the one that fits into your schedule..ish–and click “select class”. BOOM ROASTED it’s in your shopping cart! Repeat all that fun stuff for all the classes you want to take and then impatiently await your registration date. 7am on that magical morning, you can finally “Proceed To Step 2 Of 3” and “Finish Enrolling” in your classes! You should get a bunch of green happy check marks, but if your page looks like this there might be a problem. Well..if your page looks exactly like this the only problems would be that you are trying to enroll before your enrollment date and also why are you taking the exact same classes as I am? But if you do get a bunch of WOMP Xes read the error messages! Some common problems include the class being full or closed, not having the pre- or co-requisites, and a time conflict with another class. SO fix those things and you’ll be well on your way to SUCCESS and HAPPINESS and FREEDOM and JUSTICE and all that good stuff. Hopefully this refresher was helpful to you! If you’re super stuck and still have questions, you can ask your advisor, FYRE, RA, contact the help desk at 978-934-4357, or post on Facebook/Twitter and tag me or the Ambassador page or a random friend who is good with iSiS, or send a carrier pigeon to Trudy Umstead, room 103B Sheehy Hall, 6 Solomont Way, Lowell, MA 01854 and I will get back to you as soon as the pigeon figures out how to sneak into the building without being signed in. HAVE AN AWESOME DAY FRIENDS, YOU’RE ALL CHAMPIONS. I am almost certain that at some point on the past four months you have witnessed the latest sensation in Viral Videos, Gangnam Style. While PSY definitely did gain a lot of fame from his video he is certainly not the first person to be thrust into the spotlight after posting a video to Youtube. A viral video does not need to be a catchy song with a fun dance it could also be a video taken by a father of his then seven year old son recovering from oral surgery and still being rather loopy. If there is two things that I have learned from researching for this blog post it is that Disney had a temporary mental lapse when they included the pink elephants scene in Dumbo, it was poor judgement on their part. Oh and the other thing is that if you too want to have a viral video you should do one of two things, either video tape everything that happens in your life and eventually something very interesting will happen or come up with a catchy song and dance. You think I am wrong about this? Check out these two videos. So as you can see my logic in how to make your own viral video is flawless and should be attempted by everyone. Video tape everything. This lesson was also imparted on me from the Paranormal Activity series due to the fears of being demonized by an invisible demon. Alright, Tim here, and since it is my area of expertise (because I am a political science major), we are going to talk a little bit about VOTING!!! Q: Okay cool, but where do I vote and how do I know if I am even registered??? A: Well, here is a handy dandy website that can solve those complicated questions. Just type in your information and you’ll be good to go (hopefully). Q: Why should I even vote? Isn’t it a total waste of time? A: Because it is one of the most sacred public duties there are! The United States is thankfully a democracy, which simply means, the powers of change are in the peoples hands. You can fulfill your role of public duty by casting a vote. This is your chance to shine! Q: I don’t even know anything about the candidates, how do I learn more about them? Q: Is there an easy way to find out about their stances on information that is relevant to me? I am so confused!!!!!! Although it does not have the lovely html and fancy pants as the candidates personal websites. This website talks about the real deal. No tomfoolery, no run-arounds, just facts and direct quotes. It also historically outlines each issue in case of you are confused about it. This is real good stuff. Well I hope you guys found some of this information relevant and useful. Have a happy election Tuesday everyone and don’t forget to cast your vote!